ESL students come from very different countries, from all walks of life. Some of them have been in America for a while already; others are fairly new to the country and its habits and culture. It’s important to acknowledge the fact they differ not only from “the” American but also from their classmates. Discussions in the group may run into a dead end street since not every student is used to speak his mind. When teaching them to write in English you might want to start with a topic they are very familiar with and that is not hard to write down. Topics like ‘what did you do this weekend?’, ‘describe the celebration of a birthday’ or ‘what did you watch on TV lately?’ are simple and don’t ask too much of the student in regard of composition. Tell your students to never ever first do their piece of writing in their own language and then ‘translate’ it into English. Emphasize they should think in English and therefore write in English. Once they get tangled up in translating from their native language into English, they are sliding down at top speed. When you give feedback it is best to keep that positive. Search for the good things in the piece to give your student some self-confidence. Then you can point out some faults but never sum up all of them. Concentrate on the major few; you can deal with the others at another time. One step at the time does the job. You want your students to come back to your next session, right? Also keep in mind your student might be in awe of you. You are the authority he has to listen to. That’s the way he was raised. This difference in culture does not have to be an obstacle. You gently point out your criticism; when you ask whether he has understood, use so-called open questions. A simple: do you see what I mean? can be answered with a ‘yes’ or a ‘no’ without you knowing whether he really understood. In many cultures is it not done to say ‘no’, especially to someone higher in hierarchy. A question like: please sum up what I just told you, will force the student into actually giving you an answer that tells you something. There are many more tips and tricks to teach ESL students to write a good piece, a cover letter or an essay in English. As a teacher you have to keep it simple and build from there, and you need to have a lot of patience. 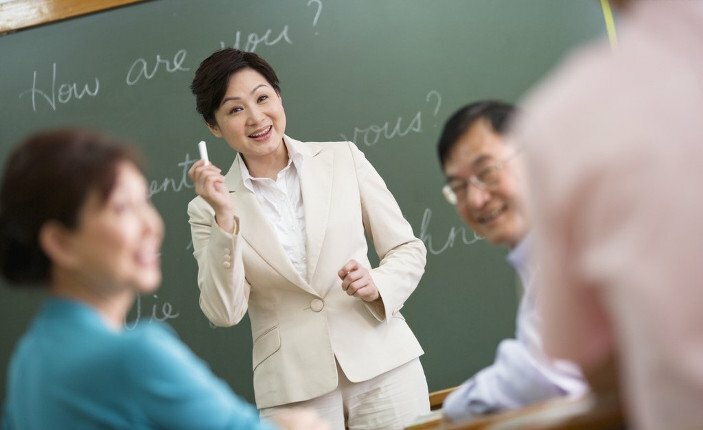 Your ESL students may not understand the simplest rules and may not be used to the American way of communicating. But once they have taken their first hurdles it is a rewarding experience for both you and the ESL students you teach. This entry was posted in Education and tagged ESL, students, teaching on August 1, 2013 by Steve Aedy.